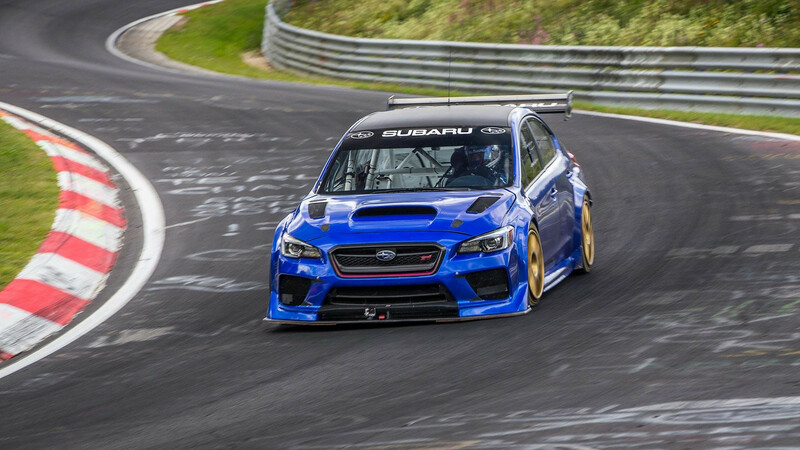 Subaru is finally showing off the WRX STI Type RA NBR Special’s lap around the Nürburgring Nordschleife that makes it the quickest sedan ever around tricky circuit. Driver Richie Stanaway piloted the sedan around the Green Hell in 6 minutes and 57.5 seconds. Unfortunately, Subie’s video doesn’t show the entire lap from the STI’s cockpit. Instead, viewers see some of the preparation for the run and get a variety of views of looks at the sedan on the Nordschleife. The NBR Special is only tangentially related to the WRX STI Type RA that goes on sale early in 2018. The car on the Nürburgring comes from the rally-preparation masters at Prodrive. It features a 2.0-liter turbocharged four-cylinder with 600 horsepower (447 kilowatts) and uses a World Rally Championship-spec gearbox with modified with hydraulics for paddle-shift operation. The revised body kit creates 650 pounds (295 kilograms) of downforce at the car’s 179-mile-per-hour (288-kilometers-per-hour) top speed. The setup features an active rear wing that adjusts based on the need for downforce when cornering or lower drag on the straights. The road-going Type RA isn’t quite as wild but still quite a potent package. It features a revised flat four that produces 310 hp (231 kW), thanks to revised engine mapping. The six-speed manual has a tweaked ratio for third gear and features a short-throw shifter. Updates to the suspension setup and changes to the Vehicle Dynamics Control system should sharpen handling, too. The Type RA rides on a set of 19-inch forged wheels from BBS and features cross-drilled brake rotors. A carbon fiber hood, roof, and rear wing cut weight. The loss of the spare tire drops a few more pounds. 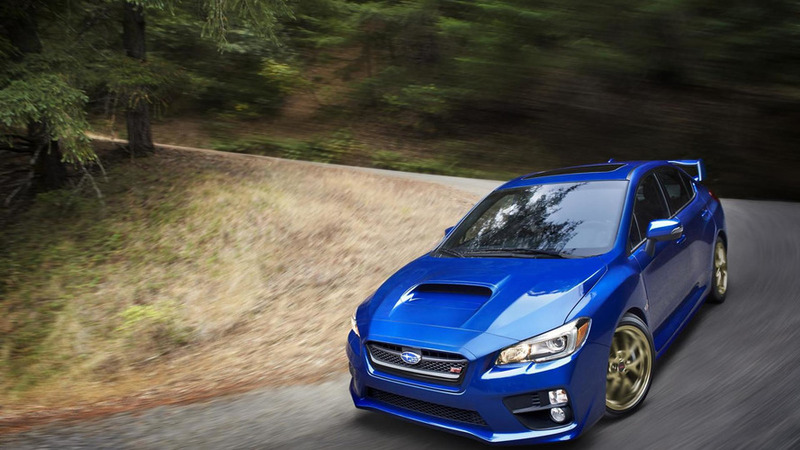 Subaru hasn’t yet announced pricing or an exact release date for the Type RA. The company will only release 500 of them, and they’ll arrive at dealers in the first quarter of 2018. 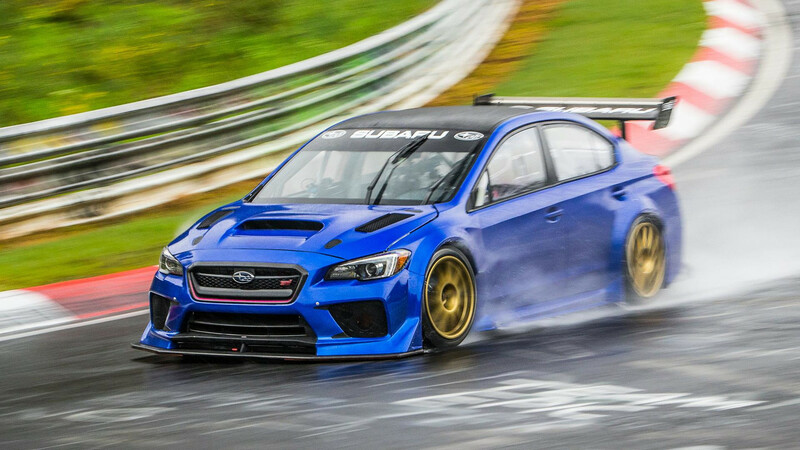 Cherry Hill, N.J. - Subaru of America, Inc. released a new video of the Subaru WRX STI Type RA NBR Special with driver Richie Stanaway setting a new lap record for a four-door sedan at the famous 12.8-mile Nürburgring Nordschleife race track, achieving a time of 6:57.5. The time was recorded using the Nürburgring timing equipment and was verified by track officials.